When Frank Sauder started selling the freshest vegetables, poultry, and eggs from Lancaster, PA farms to residents and businesses located in Philadelphia during the Great Depression in the 1930s, no one knew what the future held. Sauder quickly built a solid reputation for quality foodstuff and fair prices. Constantly building on that reputation, Sauder’s door-to-door egg business has grown into one of the nation’s top egg wholesaling businesses over the years. Since the company’s humble beginnings R.W. Sauder has expanded from one location in Brownstown, PA to five grading and processing facilities located in three states. Today, the organization employs about 400 people and sells approximately 1.5 billion eggs annually. How Much Should I Be Spending on Eggs? Can You Cook Eggs in the Microwave? Family-owned and operated since it was founded, R.W. Sauder is now run by President and CEO Mark Sauder, the fourth-generation Sauder to occupy the organization’s top position. Just like Sauder’s Eggs and the other divisions that make up R.W. Sauder are family-owned, so are the farms the company does business with. 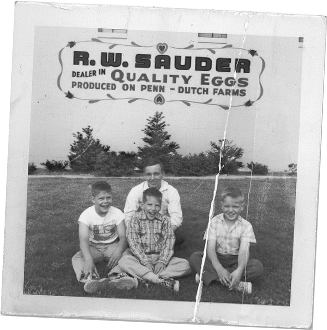 Sauder’s Eggs works with more than 104 farmers who have more than six and a half million hens producing eggs for Sauder. 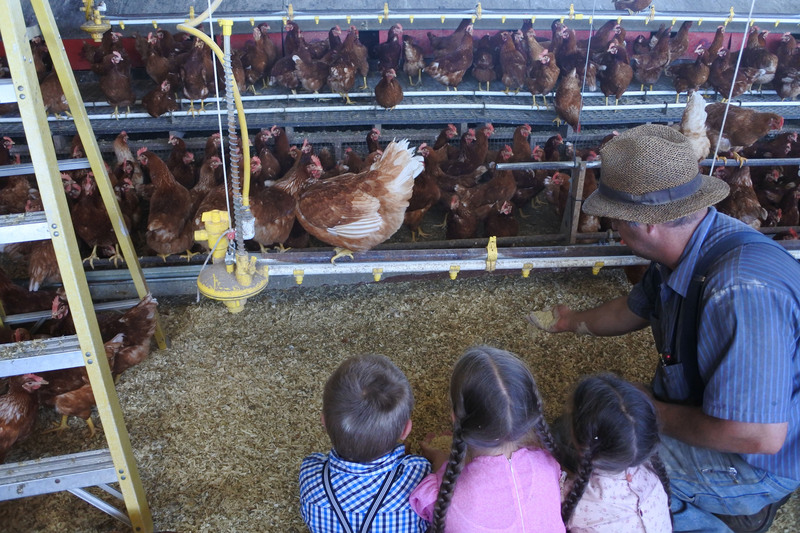 The profile of a typical farm that partners with Sauder’s Eggs is a small, family-run farm that operates with one farmer, his or her children and an employee or two. With grocery stores having grown so dramatically over the past quarter-century, many of the farms that provide eggs to Sauder wouldn’t be able to keep up with demand on their own. By partnering with R.W. Sauder, the egg supplies from multiple farms are pooled together, which enables Sauder’s Eggs to satisfy the demands of retailers, such as Trader Joe’s, Weis Markets, Aldi and Sam’s Club. When you buy eggs from Sauder’s, you can rest assured you’re purchasing eggs that have gone directly from one family to another to yours. Is there anything better than that? Just as many people like the family-orientation our operation has, you’re sure to appreciate the variety of egg products we offer. When you buy eggs from Sauder’s, it’s all about variety, quality, hen husbandry, integrity and excellence. And these things certainly show in the products that bear the Sauder name. Sauder’s Gold Eggs: Eggs naturally have certain characteristics that make them a healthy alternative to other foods. 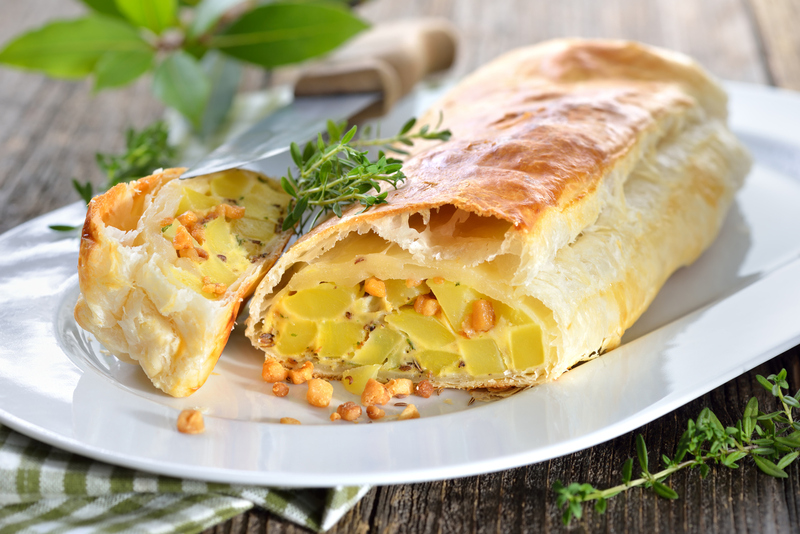 They have zero carbohydrates, for instance, and they’re high in protein. In addition to those inherent traits, Sauder’s Gold Eggs have added health benefits.We enhance our already healthy Sauder’s Gold Eggs with Omega-3 fatty acids, which can help prevent heart disease and improve circulation. To benefit your eyes, Sauder’s Gold Eggs also have lutein. Natural vitamin E and vitamin D add even more health benefits to our Sauder’s Gold Eggs. When compared to conventional eggs, Sauder’s Gold has +276 mg more of Omega-3, +455 mg more of lutein and +3 mg more of Vitamin D. Our new Pasture-Raised Sauder Eggs, fed with Sauder Gold proprietary feed, are just one example of how Sauder’s proprietary feed is bringing a new level of nutrition to a variety of egg products. Sauder’s Organic Eggs: In the past decade or so, the demand for organic eggs has increased greatly. Our organic eggs come from chickens that eat a special diet and enjoy the freedom to wander around their hen houses, as well as outside on the grass. All our organic eggs also have 200mg of Omega. Sauder’s Deviled Egg Kit: Making deviled eggs is simple with a Sauder’s Deviled Egg Kit. It’s available in two sizes, and every deviled egg kit includes hard cooked white egg halves and a bag of egg yolk filling. All you have to do to make deviled eggs that simply can’t be beat is snip the bag of filling and pipe its contents into the egg halves. 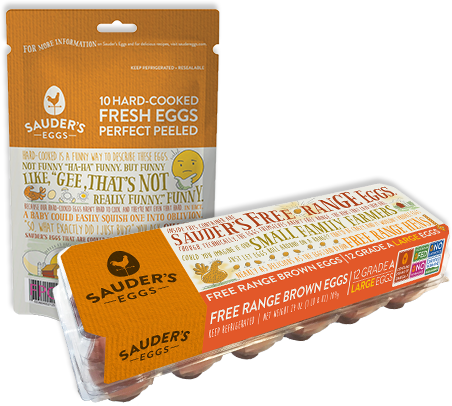 Sauder’s Hard Cooked Flavored Eggs: Are you looking for a mouth-watering alternative to your usual snacks? If so, Sauder’s Hard Boiled Flavored Eggs are a great, flavor-filled choice. Our versatile hard cooked flavored eggs are also a tasty addition to salads and a wide assortment of side dishes. Sauder’s Hard Boiled Flavored Eggs are available in three flavors: red beet, mustard and Buffalo hot. Sauder’s Hard Cooked Eggs in a Pouch: With Sauder’s Hard Boiled Eggs in a Pouch, you never have to endure the hassle of trying to boil eggs perfectly or peeling them again. Each of our pouches includes whole grade A eggs that are cooked, peeled and ready to be enjoyed alone or as part of your favorite dishes. Sauder’s Hard Boiled Eggs in a Pouch are available in both plain and red beet varieties. 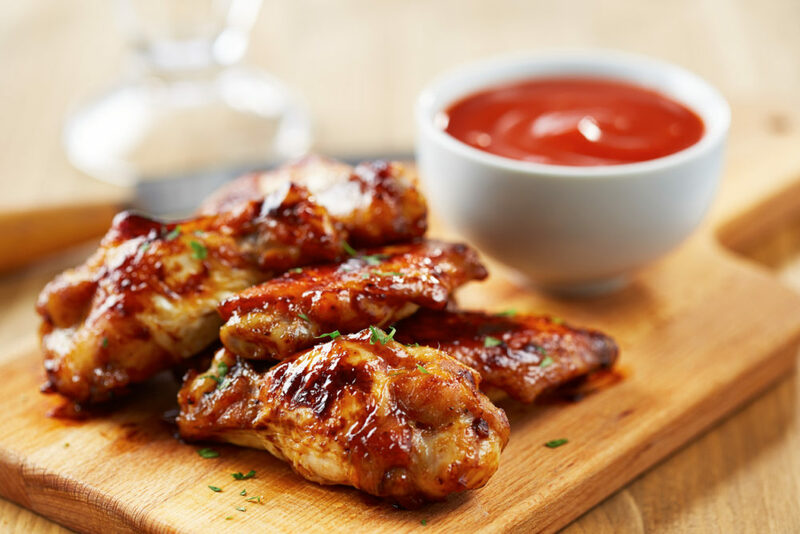 Offering you a generous selection of egg products you can enjoy every day, we invite you to join the ever-growing family of consumers who love Sauder’s eggs. Use our store locator to learn where you can purchase eggs from Sauder’s — the family-oriented brand you can trust for high-quality, integrity, fairness and excellence.